SABIC has developed a new portfolio of THERMOCOMP compounds for manufacturers of base station antennas – in particular internal components such as phase shifters that are reportedly superior to two incumbent materials, ceramics and printed circuit boards (PCB). This suite of new materials has been optimized for transmission conditions from 900 MHz to 3GHz and beyond, providing different combinations of dielectric constant (Dk) and dielectric dissipation factor (Df) performance. 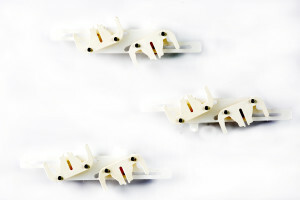 “Because these are thermoplastic materials, they can provide greater design flexibility and higher manufacturing yield than traditional materials such as ceramics or printed circuit boards (PCBs), in addition to meeting specific signal strength or signal range objectives,” said Alan Tsai, Director of Consumer Electronics Technology &amp; Innovation, SABIC’s Innovative Plastics business. Within each base stations are multiple antennas containing phase shifters which, based on traffic, deliver either greater strength, meaning fewer dropped transmissions; greater range, meaning a broader coverage area; or both. Key measures of performance are the Dk, which quantifies signal range, and the Df, which indicates signal loss. The dielectric performance requirements are slightly different at various frequencies from 900 MHz to 3GHz, and at different temperature ranges. In general, when compared to ceramics and PCBs, SABIC said THERMOCOMP can provide a better balance of dielectric properties, with extremely low Df, down to 0.001, and a wide range of Dk from 3 to 13.9, depending on frequency requirements. By comparison, general purpose PCBs are capable of Df to 0.005. 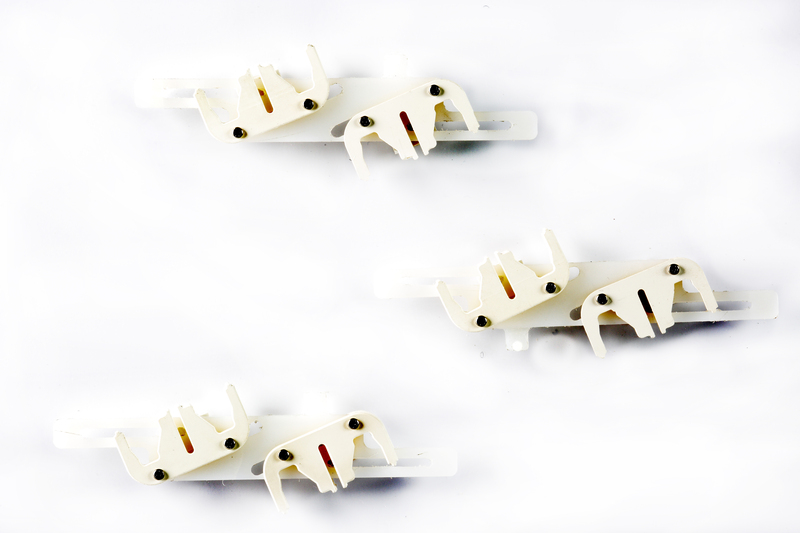 Moreover, the thermoplastic-based materials have mechanical properties that provide a number of advantages, such as dimensional stability and low friction (important because the phase shifters are in constant motion), flame resistance and stable Dk within climate conditions ranging from -40°Cto +55°C with 55% humidity. SABIC’s dielectric portfolio consists of compounds using a variety of base resins, including LEXAN resin, a polycarbonate (PC) material; NORYL resin, a polyphenylene oxide resin; or high density polyethylene (HDPE) resin, which expands the ability for component manufacturers or system integrators.